Average HDPE Resin prices for extrusion sheet fell 22% in Q1 2018, according to Plastic News (PN). The average price as reported on April 2nd by PN was $0.65/lb versus prices reported at the end of Q4 2017 of $0.84/lb. 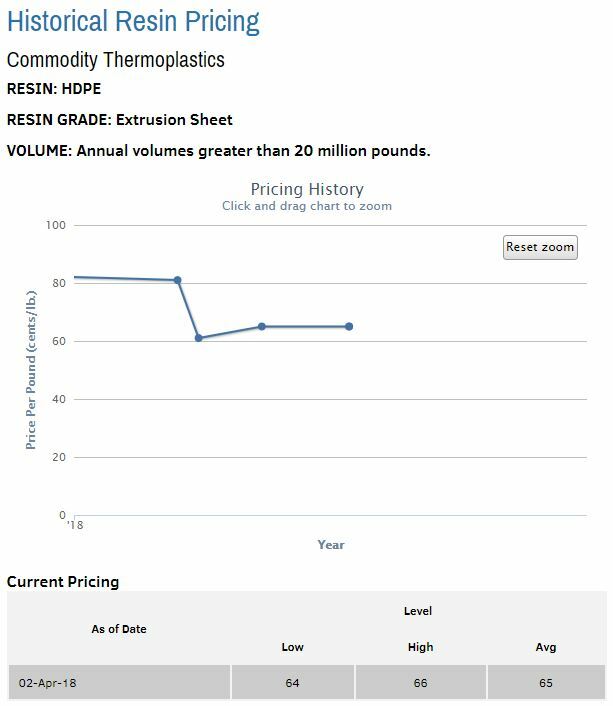 As previously reported, HDPE resin prices for extrusion sheet increased 21% in calendar year 2017. The 22% price decrease in Q1 2018 thereby negates the increase we saw in 2017. Being the largest installer, and one of the largest providers of HDPE geosynthetic liner (extrusion sheet) in the nation, resin prices are impactful to our business and that of our customers. Further information can be found at Plastic News.